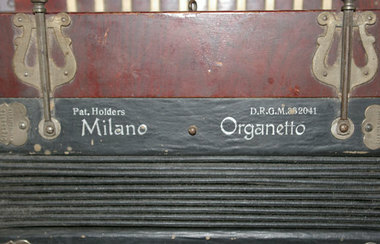 This lovely Organetto, an Italian accordion, sold for just £27 on Ebay. 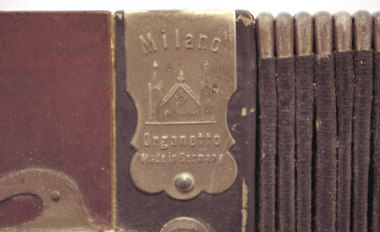 And interestingly, if you look closely you'll see that it was made in Germany. 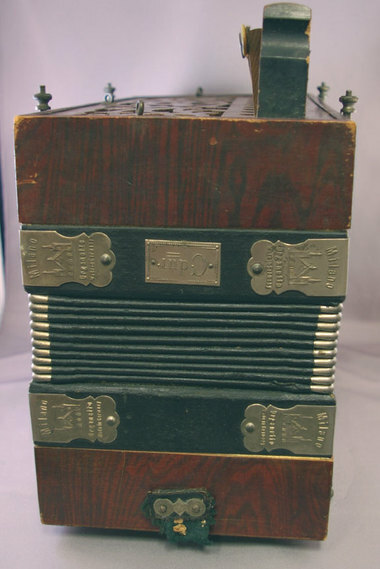 beautiful....I wonder if it is in anything like playing condition? Yes, it looks nice but is it playable? I have one just like the one pictured in Michigan, USA. What may this be worth here? 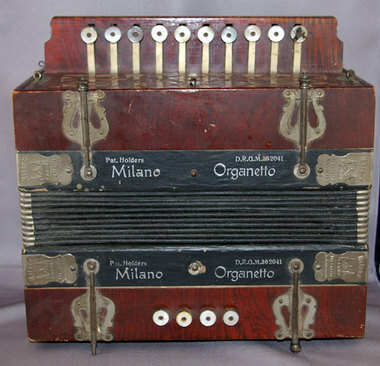 I'm no expert, but I don't think these are particularly sought after, and hence not valuable, but maybe it's worth about $50 if it's in tune.